No Longer An EXO member, Luhan Is Now A Super-Famous Chinese Celebrity! 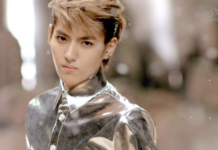 Many of those who have left SM Entertainment have been non-Koreans, notably Luhan, and two other chinese members of EXO – Wu Yifan (formerly known as Kris) and Tao. 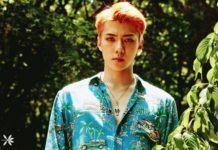 After Luhan filed a lawsuit against SM Entertainment in October 2014 to nullify his contract, he stopped working in South Korea and was no longer a part of EXO, EXO-M, or Younique Unit. He has now become an all-rounder Chinese celebrity under his own company, LuHan Studio, since early 2018. 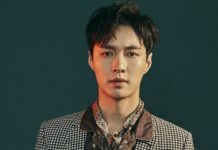 However, his contract with SM Entertainment will remain in operation until 2022, because both parties had to reach an agreement at the end of the trial (contract dispute). Let’s see more in detail about Luhan below! Since his departure from the group, Luhan’s solo career has absolutely exploded in China. 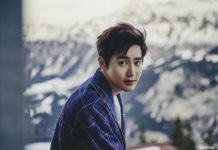 He has been very active as a celebrity, appearing in many advertisements and projects, and his face can be seen on many large billboards spread throughout China. As a result, Korean netizens have been very critical about Luhan’s success, calling him a traitor for using the popularity that he gained in EXO to boost his individual career in China. Languages: Chinese (mother tongue), Korean (fluent), and English (fluent). Luhan attended Beijing Yuk Young School (베이징 육영 학교 / 北京育英学校分校), Beijing Shida Middle School (베이징 싀따 중학교 / 北京师达中学), and attended Beijing Haidian Foreign Language Shi Yan School (베이징 해정 외국어 실험 학교 / 北京海淀外国语实验学校), before leaving for South Korea to attend Yonsei University as an exchange student. He majored in Applied Music at the Seoul Institute of the Arts (서울종합예술학교 실용음악과). Although he dropped out of the foreign language high school in China, the school treats him as part of the alumni. 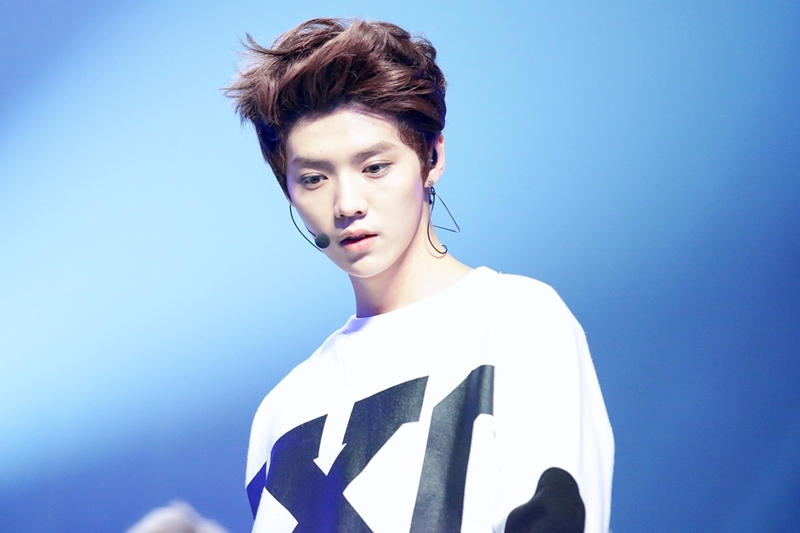 In 2008, Luhan unsuccessfully auditioned for JYP Entertainment at their global audition in China. 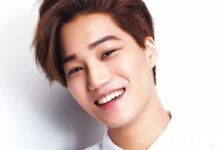 In 2010, while studying in Seoul, he was scouted while in Myeong-dong by an SM Entertainment representative, who recommended him to audition for the company, after which he became a trainee under the agency. He auditioned to be a trainee for JYP Entertainment but was not accepted. He joined SM in 2008 when he went overseas to Korea to study (attend Yonsei University as an exchange student), and one day when he was shopping in Myeongdong he got spotted by an official representative for SM. In 2010, he participated in the annual auditions of the SM casting system and finally became a trainee of SM Entertainment. 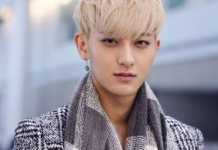 He was a trainee for 2 years, and on April 8 2012, he debuted with EXO as the second member to be revealed. He shared a room with Lay in China. He shared a room with Xiumin and Kris in Korea. 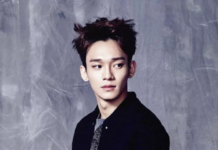 Besides EXO and EXO-M, he was also part of Hyundai’s promotional sub-unit, SM ‘Younique Unit’ with Henry and Eunhyuk of Super Junior M, Taemin of SHINee, his former teammate Kai, and Hyoyeon of SNSD. On October 10 2014, Luhan filed a lawsuit against SM Entertainment to cancel his contract, the reasons presented in the case were health problems and that the Korean members received special and different treatment from the Chinese. Therefore, he finally started his solo career. In the court ruling of Luhan and Kris’s lawsuit against their former company, SM Entertainment, it was ruled that both are free to promote in China and others, but not in South Korea and Japan because any event in those two countries would be managed by SM Entertainment. In addition, their contract with SM is valid until 2022, which is what was planned from the beginning when they debuted with EXO. Because of this, they have to continue giving a certain percentage of their profits to the company, however, they will not be recognized as EXO members again, just as part of SM Entertainment. 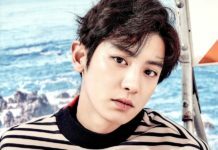 Although he has officially left EXO, he revealed that he still keeps in touch with the members and keeps up with the updates. Luhan has been with One Heart Entertainment (his former label) since 2014, directly after leaving EXO. The singer did not end his contract with One Heart Entertainment on bad terms. At the beginning of 2018, Luhan decided to promote independently under Luhan Studio, his current label. At the age of 12 (in 2002) he began to dream about becoming a soccer player. But he liked dancing and singing so much and could perform on stage at school events, so he also dreamed about that. He would like to have two children in the future, a boy and a girl. He said that he would teach the girl singing and the boy soccer. His favorite music genres are R&B, ballads, and pop. His favorite number is 7. Luhan is afraid of heights. He doesn’t like others on his bed, he’ll kick them off if anyone gets on. 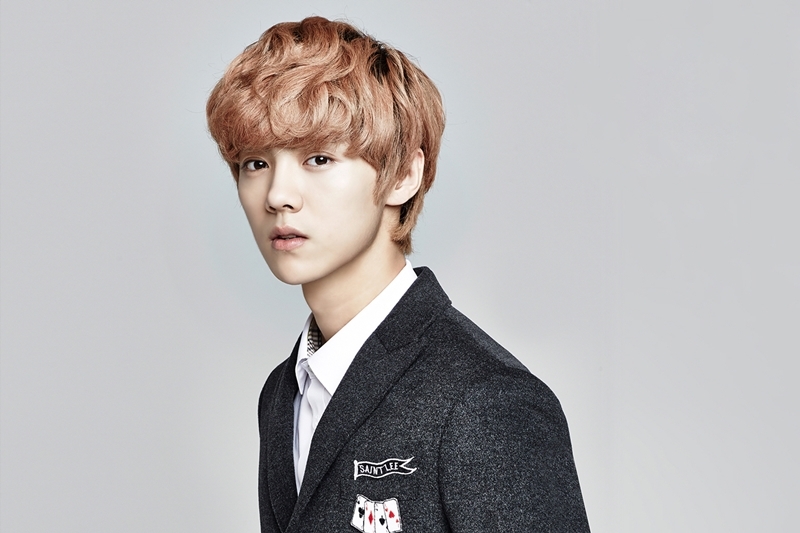 Luhan has liked HOT since elementary school, and was interested in Korea and Korean culture. He also loved TVXQ very much. 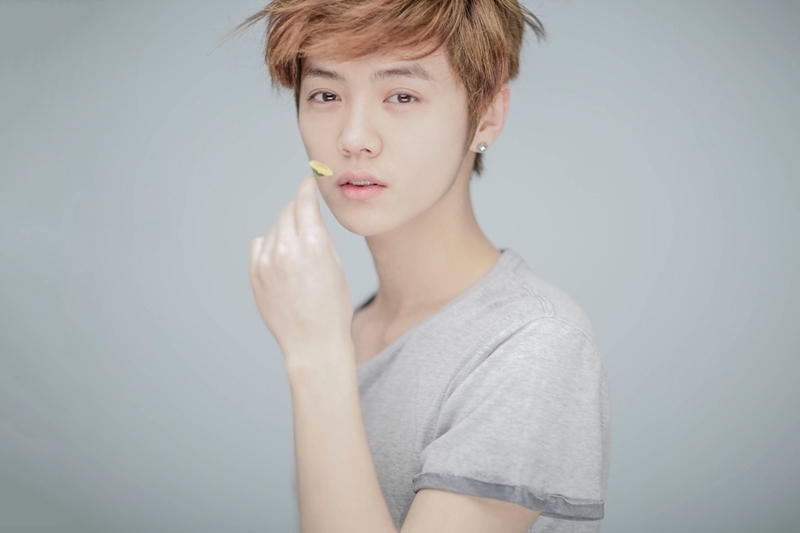 He is an easy-going person; trainees from China are usually bullied, but Luhan was an exception. He has a very transparent and honest personality, so much so that during the interview segment of the 2016 Global Chinese Golden Chart Awards, Luhan said that he was not satisfied with the staging of his first concert in Beijing because he had suffered from diarrhea all night before the day of the concert and so was very weak that day (in the rehearsal before the concert). He gets sick very easily, especially colds, and when this happens he brings handkerchiefs everywhere – usually boxes of tissue or rolls of paper in certain parts of his house. He comes from a wealthy family, but did not receive money from his parents or help to travel to Korea and fulfill his dreams; he worked to stay there. In his interview for the Chinese Phoenix Memorial in 2012, it was confirmed that Luhan was popular in his school days. According to this interview, when Luhan played soccer games, the girls came to watch. Luhan’s friends and teachers confirmed that Luhan was a person who wanted to be friends with not only girls but boys too through good, caring words and actions. For his birthday on April 20 2016, together with the clothing brand izzue, he brought out a special line called ‘izzue x LuHan’, that included a hat, backpack and beanie with his official logo. Luhan and other cast members from the Chinese variety show ‘Off to School’ have been penalized for visiting Taiwan for the filming with an improper visa. On May 3 2016, it was reported that Luhan has officially been banned from entering Taiwan for the next 5 years with a tourist visa, and for 2 years with a work visa. This means that Luhan cannot visit Taiwan for any personal reasons, but is allowed to visit after 2 years for business-related events. In June 2016, Luhan got involved in a verbal altercation with a taxi driver that was driving sasaengs around. It was revealed on May 27 2017, that Luhan was going to collaborate with David Tao to record one of the songs for the 2022 Winter Olympics in Beijing. He helped in the production of his new single Catch Me When I Fall. The three 90s-born stars Luhan, Kiko Mizuhara and Pyper America Smith became the very first people to be on the cover of the magazine Vogue Me, a brand new magazine by Vogue China for 90s teenage boys and girls. In March 2016, his first variety mini-show appeared on YouKu Tudou / YouTube, where we can see aspects of his life and get to know him better. In his mini online variety show it is revealed that his fans are called ‘LuFans’. It was revealed on May 27 2017 that Luhan was going to collaborate with David Tao to record one of the songs for the 2022 Winter Olympics in Beijing. His first concert tour in China, entitled ‘Luhan Reloaded: 2016 Luhan 1st China Tour’, began with a concert in Beijing on March 26 2016, continued to Guangzhou on April 2 and finished in Shanghai on April 9. On the day of the April 2 concert, a Reloaded Concert Promo Clip video was shown in Times Square in New York. On October 8 2017, through his Weibo account, he revealed that he is dating Chinese actress Guan Xiao Tong. The announcement of his new relationship caused one of China’s biggest social media networks to crash. On the last day of China’s eight-day-long national holiday, the idol wrote “Hello everyone, I am introducing my girlfriend“, before tagging the Weibo account of the mega-popular Chinese actress. In response to Luhan’s surprising Weibo post, Guan Xiao Tong replied with a heart and “Aiya, so awesome!“. Confirmed by both management teams, the news not only left thousands of Luhan’s fans “heartbroken”, but also caused Sina Weibo (a micro-blog site that is the Chinese equivalent to Twitter) to crash temporarily due to his massive popularity and enormous influence within China’s entertainment sector. Their relationship post hit the top of the trending topics with over 4.57 million likes and 2.18 million comments. 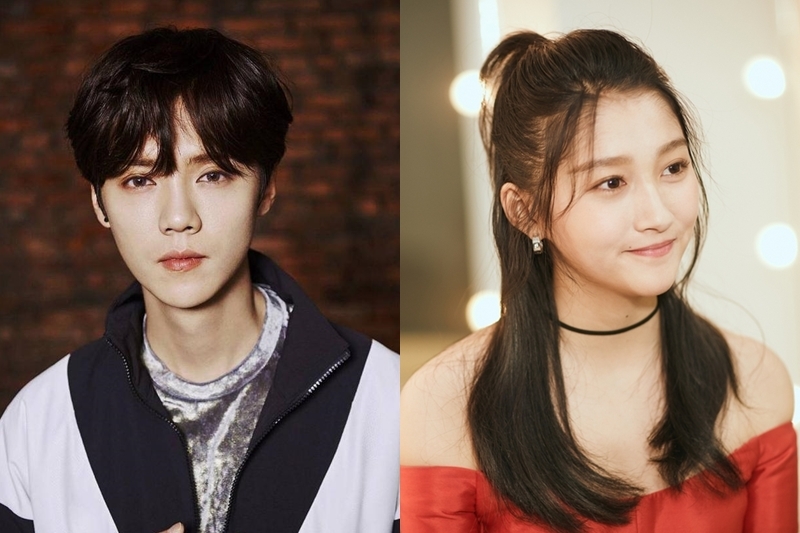 Around November 2017, Luhan and Guan Xiao Tong were caught up in a pregnancy rumour, and also that they were preparing to get married. The rumors came less than a month after Luhan’s confirmation that the two were in a relationship. A section of fans claimed that the celebrity couple were in a hurry to take their relationship to the next level because the actress is allegedly pregnant. However, the actress and her agency apparently tried many ways to deny the pregnancy rumours. Her agency reportedly created a new Weibo account called Guan Xiaotong Rumor Refutal Site and released a brief statement about the recent buzz. Not long after the pregnancy rumour, another rumour surfaced around February 2018. Both were reportedly spotted at a wedding dress shop in Shanghai on February 6. However, some fans stated that Xiao Tong went to a wedding shop for an upcoming drama or movie, as filming staff were also seen around the area.